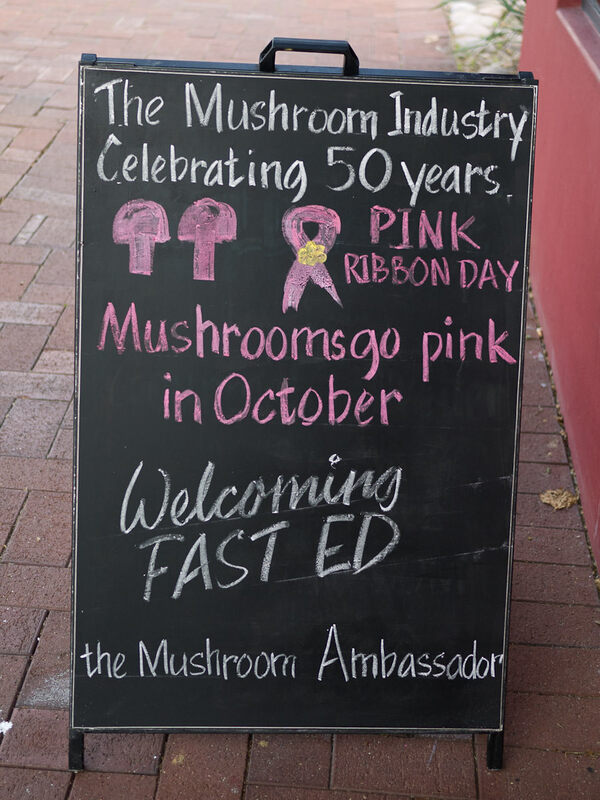 I recently attended a special lunch with the Australian Mushroom Growers Association. 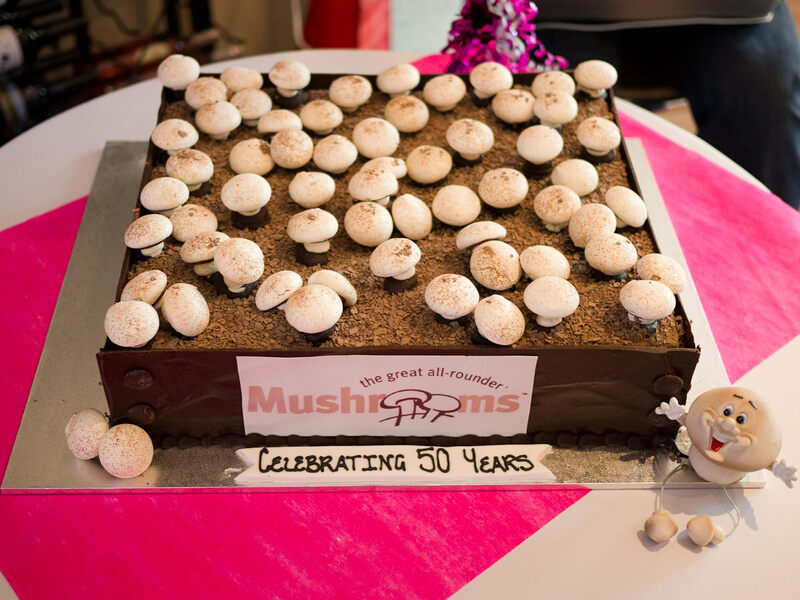 The event was a celebration of the year’s achievements and 50 years of the mushroom industry and the launch of Mushrooms Go Pink in October. 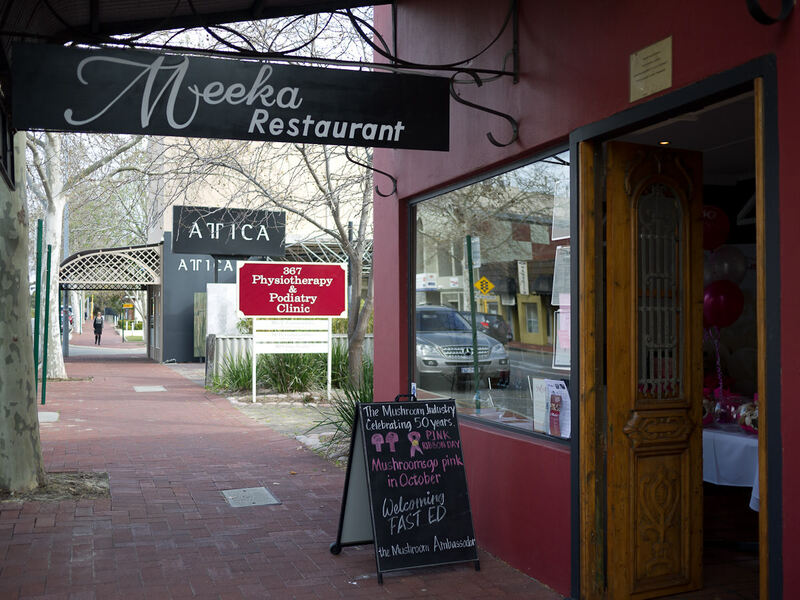 I love mushrooms and wholeheartedly support the people who grow them, so I was pretty chuffed to be invited to the lunch, which was held at Meeka Restaurant in Subiaco. It was lovely to be able to meet with the mushroom growers, to talk to some of the people behind the produce. My name badge (“The Food Pornographer”) proved somewhat off-putting for those who had not heard of my blog – a brief explanation was necessary! Before taking our seats for lunch, we mingled over drinks and hot canapés. Meeka serves modern Australian cuisine with a middle eastern twist and this was reflected in the delicious finger foods we were served. 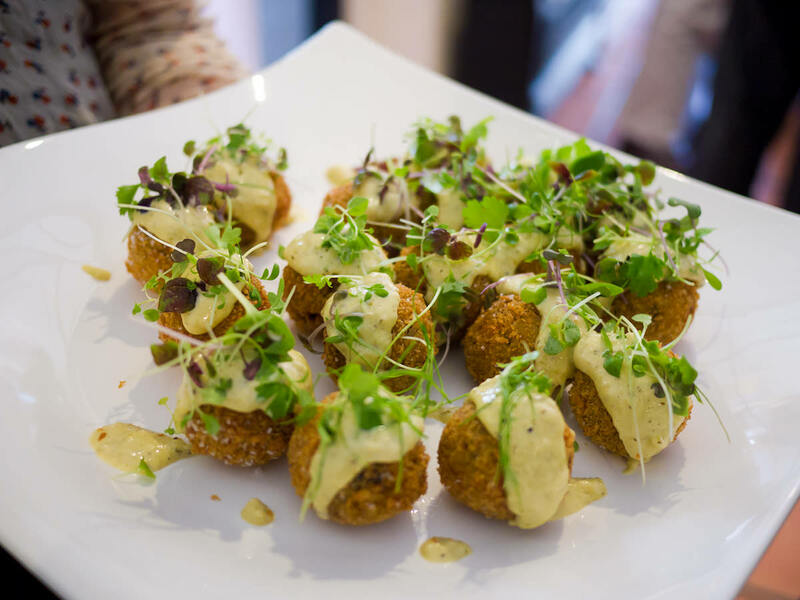 First, pumpkin mushroom arancini, topped with creamy pistachio tarator and delicate micro herbs. 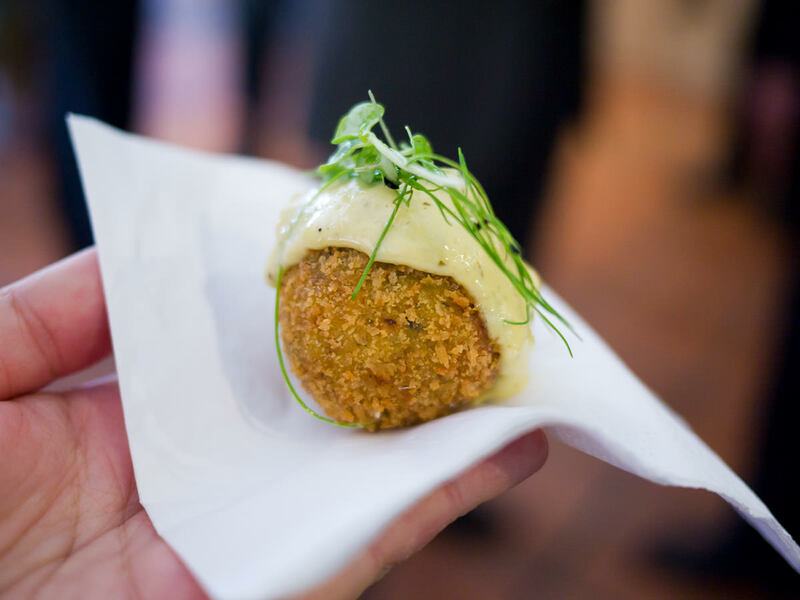 The crispy crumbed balls were filled with molten hot pumpkin risotto. 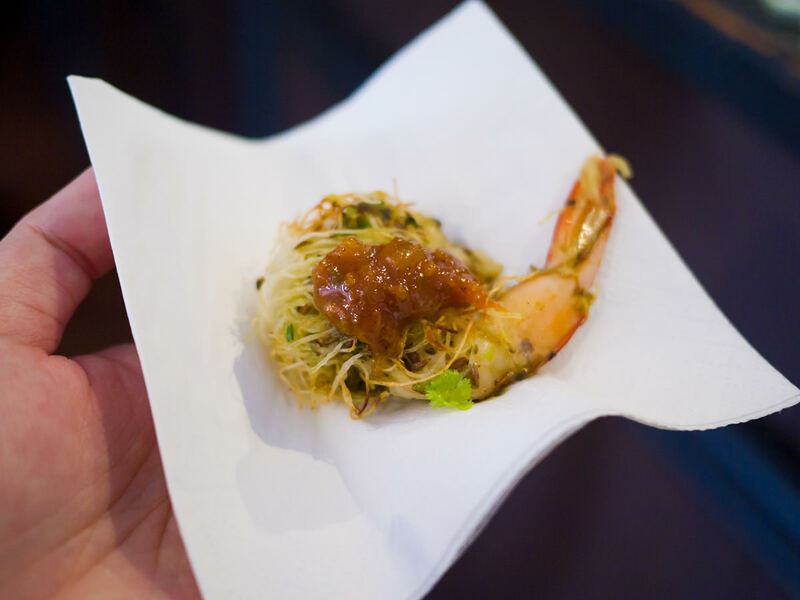 Next, prawns marinated in harissa, wrapped in kataifi, served with tomato jam. 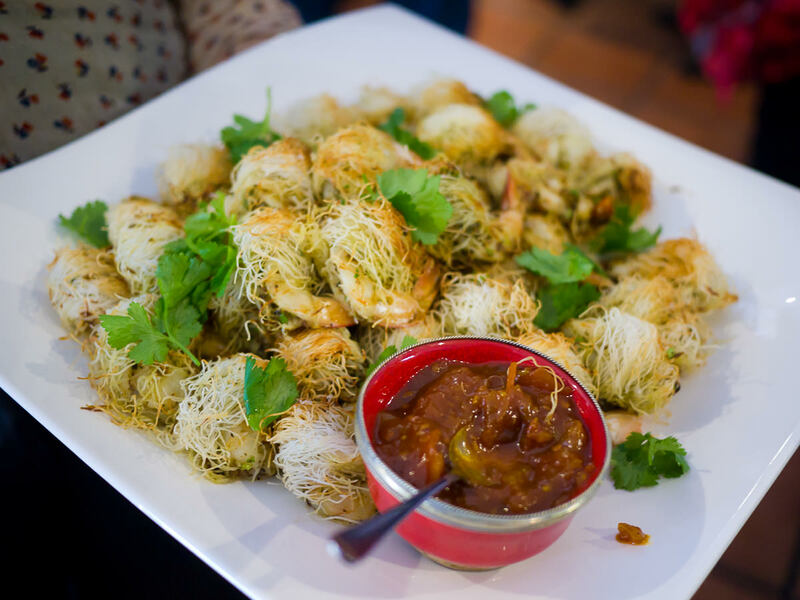 Kataifi is fine crispy pastry that resembles vermicelli or shredded wheat, made from shredded phyllo dough. The prawns were so succulent I couldn’t stop at just one of these beauties. The third of the canapes was duck bistilla with labneh. 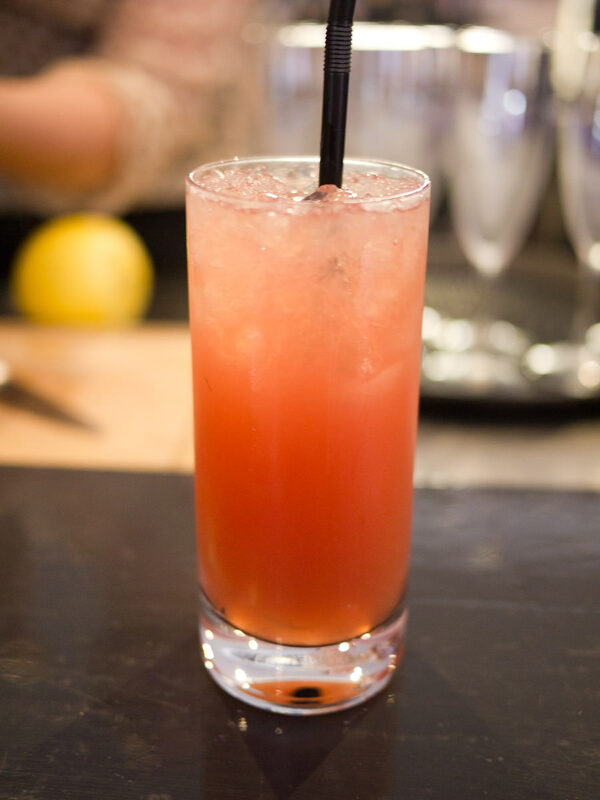 I washed down these tasty morsels with a refreshing mocktail called a pink flamingo. 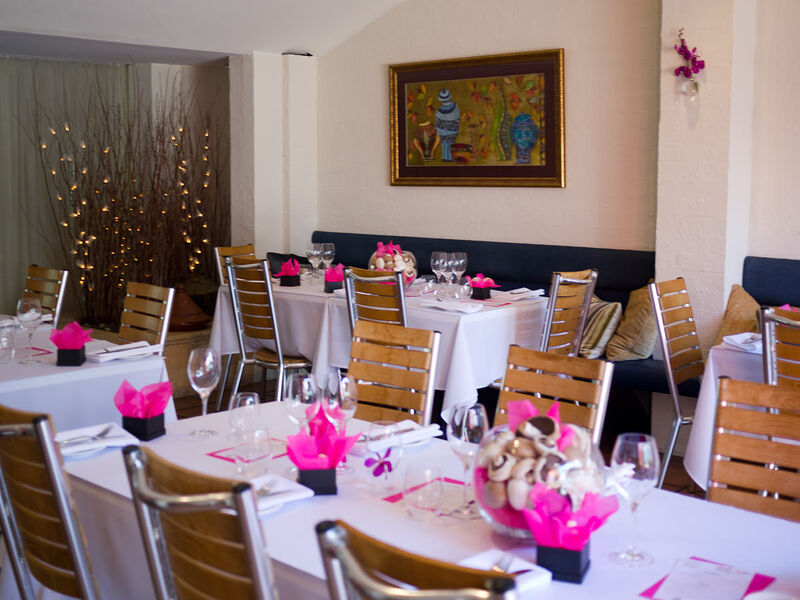 When it was time for lunch, we took our seats at tables decorated with mushrooms and trimmed in pink. I sat at a table with the small contingent of food media that attended the event. 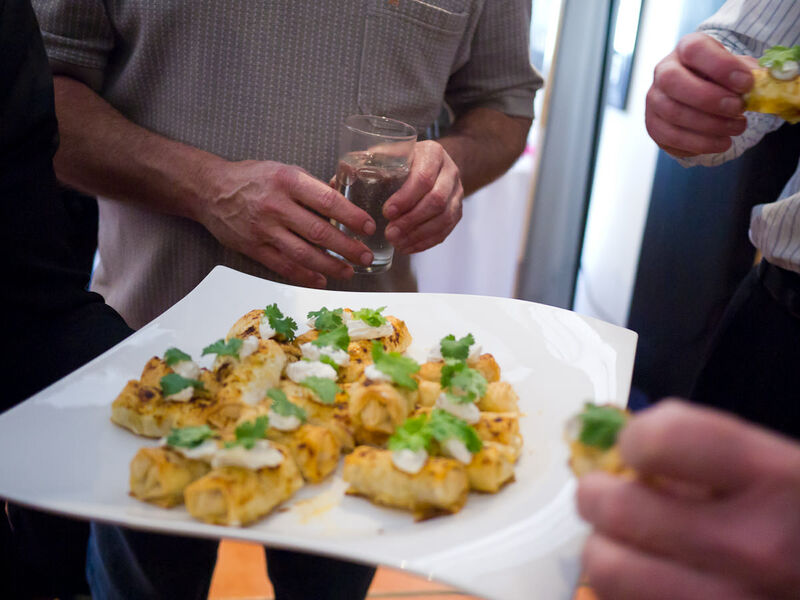 The lunch provides an opportunity for mushroom growers to take a break from their work, get together with fellow growers and celebrate the year’s achievements over good food and wine. 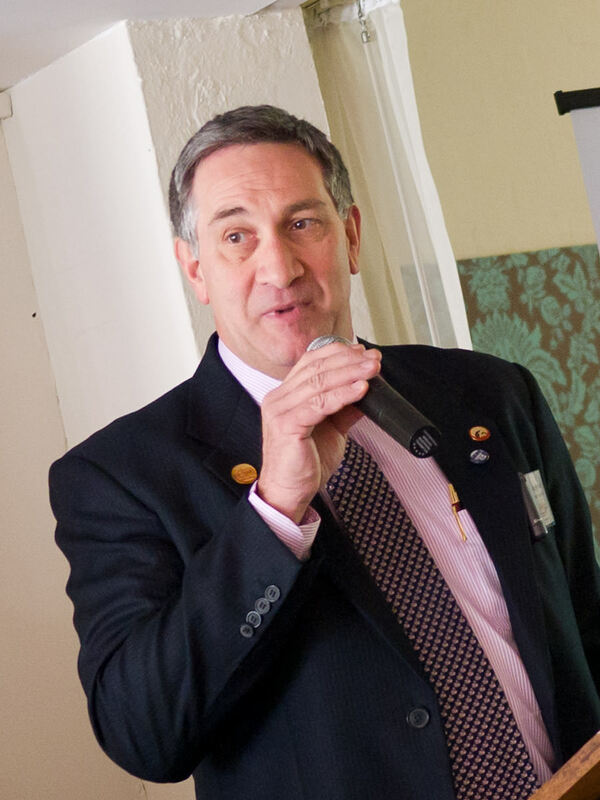 AMGA General Manager Greg Seymour spoke about some of the past year’s achievements and presented three of the mushroom growers with medals in recognition of twenty years in the mushroom industry. The medal recipients shared their reflections on the changes they’ve seen in twenty years growing mushrooms. Greg talked about ongoing projects including research into the health benefits of mushrooms and their cancer-fighting properties. 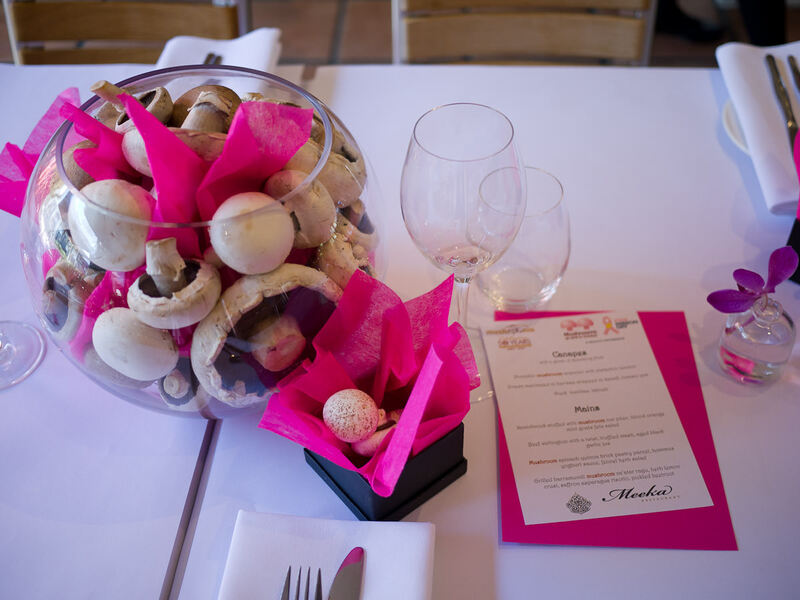 Next month, in partnership with the Cancer Council as part of Mushrooms Go Pink in October, pink punnets of mushrooms will go on sale to raise money for breast cancer research. 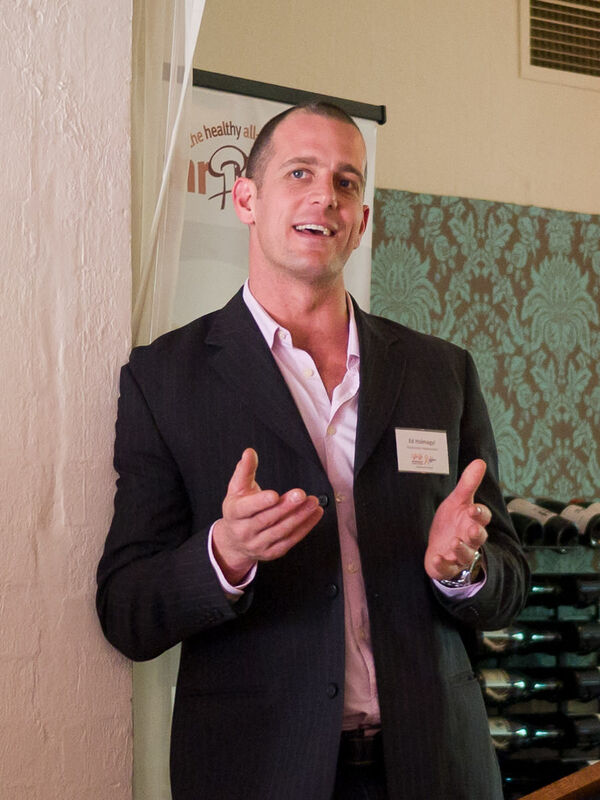 Greg also announced that Australia’s first vitamin D-enriched “sun mushrooms” will be available to the public in future. 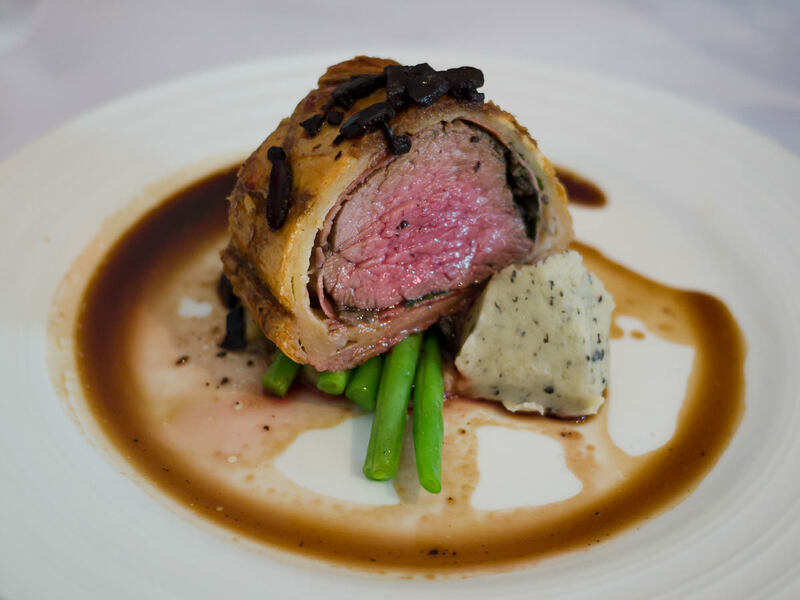 For my lunch I chose the beef Wellington served with truffled mash, green beans and aged black garlic jus. Between the beef and puff pastry was a layer of ham and mushroom duxelles. The tender pink beef fitted in nicely with the day’s theme. The beans were crisp, the truffle-speckled mash and aged black garlic rich, savoury and moreish. 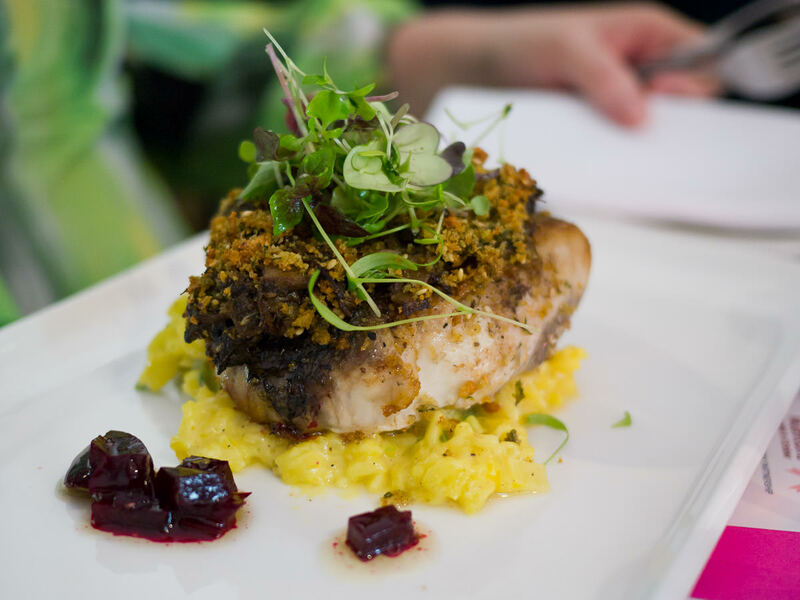 Next to me, the fish main course looked pretty good – a meaty piece of grilled barramundi with mushroom za’atar ragu, herb lemon crust, saffron asparagus risotto and pickled beetroot. 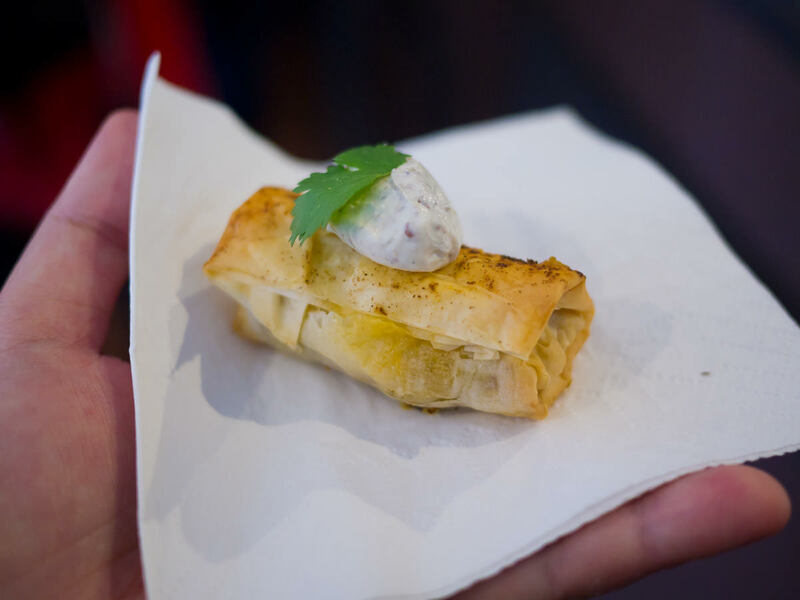 All the other dishes featured mushrooms too – a whole roasted spatchcock stuffed with mushroom nut pilav, with blood orange and mint goats feta salad; and the vegetarian option of a mushroom spinach quinoa brick pastry parcel with hommus yoghurt sauce and fennel herb salad. My beef wellington was absolutely beautiful but I was looking forward to the cake, which I’d snuck a peek at earlier – it was a box of mushrooms! 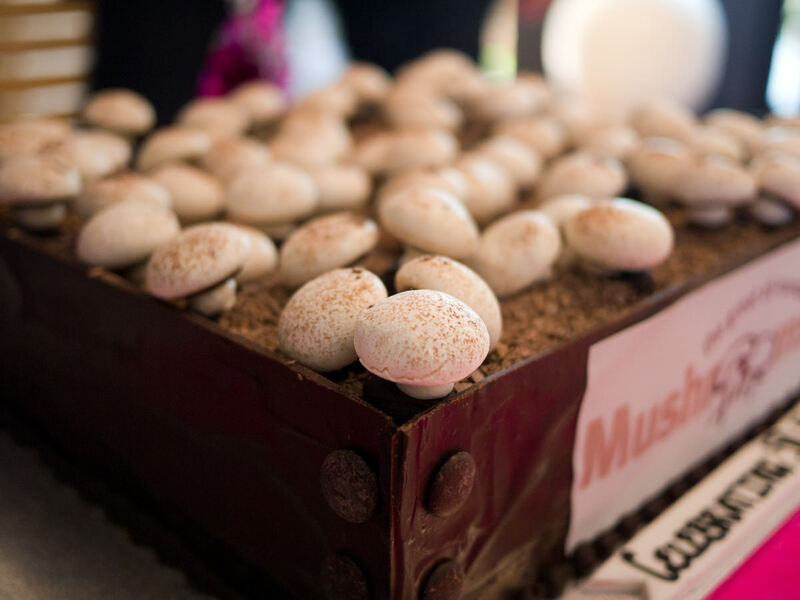 The box was made of chocolate and filled with chocolate cake covered with chocolate “soil” and an abundance of marvellous meringue mushrooms. 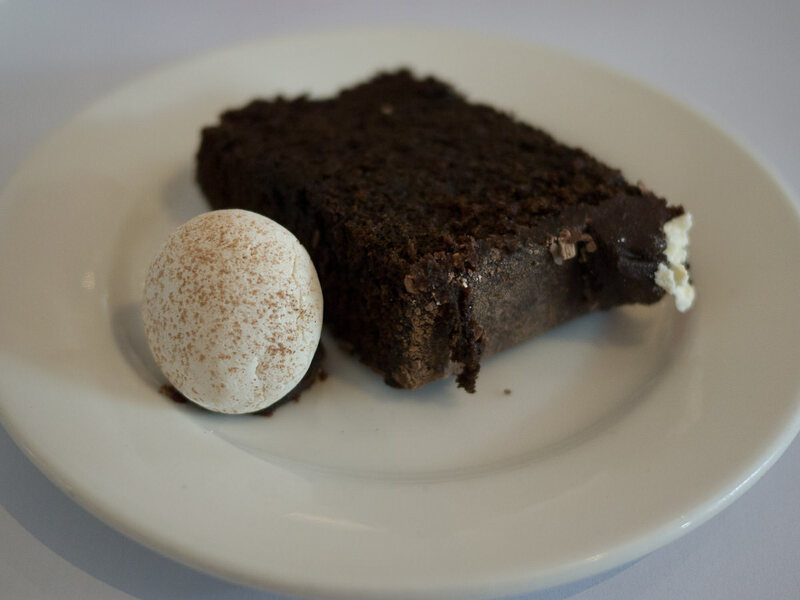 The cake was muddy, moist and stuck to our teeth – just as I’d hoped – a good chocolate cake. The meringue mushroom was crisp to bite, sweet and surprisingly malty. 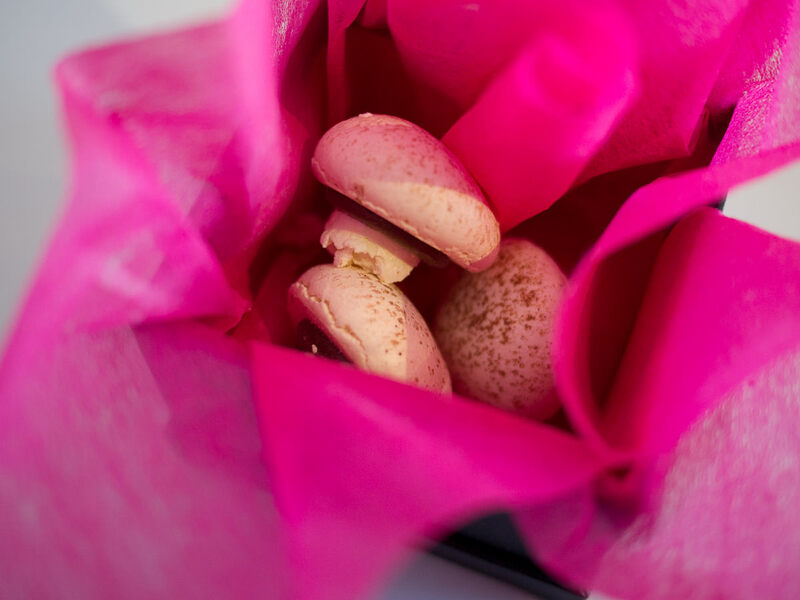 We each took home a little box of the sweet malty meringue mushrooms. These are not mushrooms, they are meringue! I got to chat with Meeka’s owner Faye and head chef Leah and thanked them for a wonderful lunch. I’d like to return another time to try Meeka’s regular menu. I noted with interest that they have homemade ice creams and sorbets served with Persian fairy floss, mmm. Thank you to the AMGA for inviting me to this event. 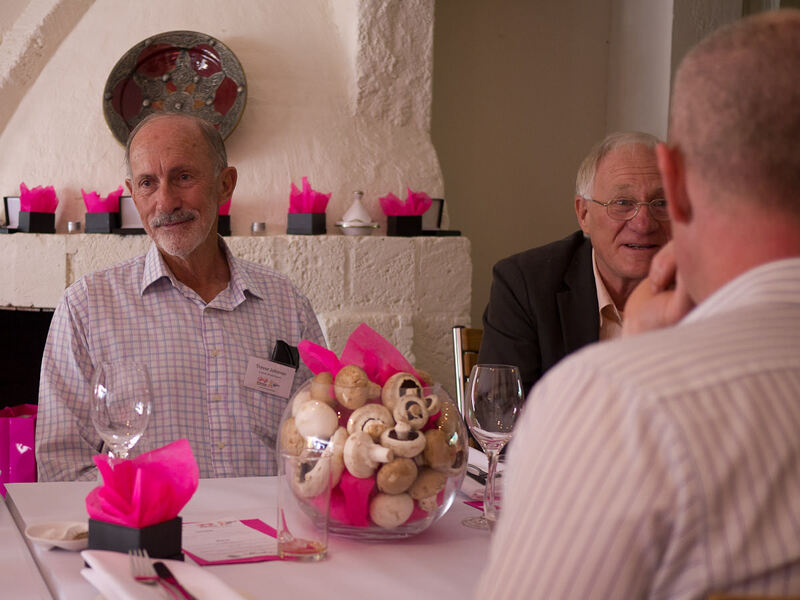 It was an honour to have lunch with the mushroom growers, join in their celebration, and gain a greater insight and finer appreciation for the people who grow the mighty mushroom. My favourite way to eat mushrooms is cooked in butter with whole pan-roasted garlic cloves, but I’ll happily eat them raw and whole, straight out of the brown paper bag. What’s your favourite way to eat/cook mushrooms? 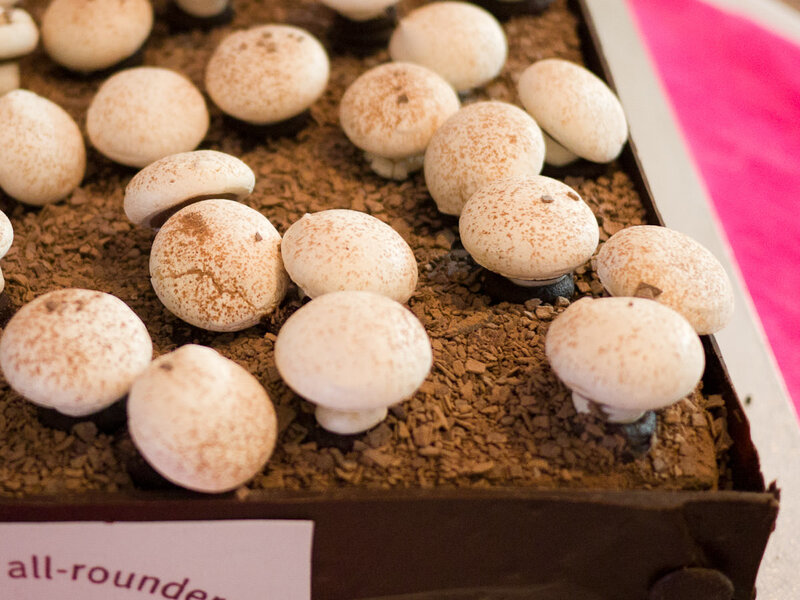 This month, there’s a series of mushroom battles taking place between Australia, the US and Canada at Tastespotting. Make sure you check out the posts and vote to support your country or favourite! I’m Cynthia, Cyn to my friends, also known as TFP, a 44-year-old woman living in Perth, Western Australia. I live with Jac, my partner of 20+ years, and our cats, Truffle, Elvis and Ava. I started The Food Pornographer® blog in 2005. 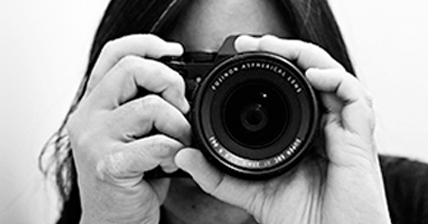 It combines the things I love to do most: eat, travel, take photographs and tell stories. It was a pretty good week. The final leg of my Cuba trip. Tranquil and picturesque, with Burmese cats. Mothers Day lunch with Jac's family. With a black forest birthday cake! It’s been a weekend of home cooking and big eating.